For users working in a seated position for extended periods of time, the Fellowes Ultimate Foot Rest is the ideal tool to relieve associated aches and strains. 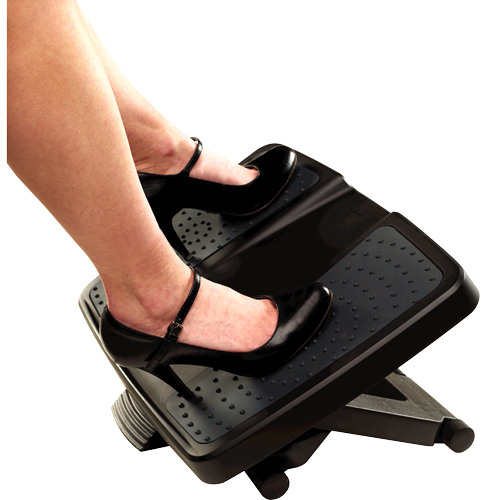 The innovative design includes three platform height settings to elevate feet and legs in order to relieve lower back pressure and massage bumps to relieve stress and rejuvenate tired feet. 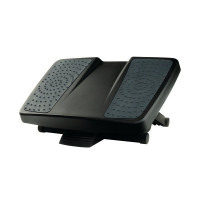 A rocking motion is incorporated to improve circulation and reduce fatigue for the user.